Learning differences and attention disorders receive a lot of attention today. Despite the fact that about 10 percent of the population has been diagnosed with some type of learning disorder, many people say that it comes with a social stigma. Learning difficulties aren’t new. A number of history’s most beloved figures achieved success with the same type of spelling, writing, math and concentration difficulties that students face today. In fact, many geniuses and innovators have excelled in the area most affected by their disability. Here are a few well-known figures who overcame their limitations with great success. Although Darwin is usually known for his groundbreaking theory on evolution, some folks think of his poor grammar, atrocious spelling and idiosyncratic punctuation. In one letter, his sister Susan pointed out misspellings in such words as landscape, cannibal, quarrel, peaceable and highest. It’s surprising to learn that one of the greatest mystery authors was unable to write legibly. Christie suffered from dysgraphia, a learning disorder that affects penmanship, spelling and arithmetic. Although she had excellent reading skills and the ability to solve complex problems and develop detailed plots, she dictated her mysteries and romance novels due to her poor handwriting. In interviews, Christie mentioned jotting down many unrelated ideas and maintaining up to six notebooks simultaneously. The American Psychological Association and other groups have studied Agatha Christie’s condition and ability to produce such a prolific output despite her limitations. Einstein’s alleged learning difficulties are highly controversial. Leading autism expert Simon Baron-Cohen believes that Einstein suffered from Asperger’s syndrome, which made him socially awkward. Anecdotal evidence shows that he had difficulty communicating clearly and delivered notoriously confusing lectures. He also had obsessive, single-minded interests. Baron-Cohen suggests that individuals with autism also have genes for grasping complex systems, including math, music, physics and computer programming. Many believe that Einstein suffered from dyscalculia, a mathematical learning disorder that allowed him to see numbers and formulas differently. George Washington, the famed general and ever-present father of the nation, is known for his pronounced learning disabilities. The Library of Congress mentions the president’s spelling deviations in the overview of its collection of Washington’s congressional papers from his nearly 50 years in government. 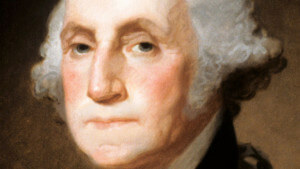 Although many things were spelled differently in the 18th century, Washington didn’t follow the standards of the time. Historians say he had dreadful grammar, difficulty expressing himself and poor skills in reading and writing. Although some believe his writings show signs of dyslexia, it certainly did not affect his popularity or skills as a leader. The ultimate Renaissance man apparently had nearly as many learning disabilities as talents. Experts believe he showed signs of dyslexia, ADHD and other learning disorders and attention issues. This might explain what he wrote backwards, used incorrect spellings and didn’t complete many of his projects. Some contend that the imagination and creativity shown in his works are shared by others with similar attention and learning difficulties, including Galileo Galilei and Isaac Newton. One American innovator even developed a strategy called “The Da Vinci Method” for channeling hyperactivity. Learning differences that initially appear as weaknesses have become strengths for many successful leaders. Challenges often make people work harder in the areas that are most difficult for them. In some cases, differences in neurological processing give individuals extraordinary focus, creativity and unique perspectives.